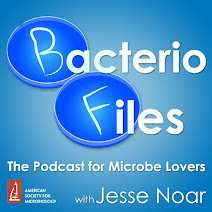 This episode: Intricate networks of tunnels in garnet gemstones seem to have come from tunneling microorganisms! Thanks to Magnus Ivarsson for his contribution! Ivarsson M, Skogby H, Phichaikamjornwut B, Bengtson S, Siljeström S, Ounchanum P, Boonsoong A, Kruachanta M, Marone F, Belivanova V, Holmström S. 2018. 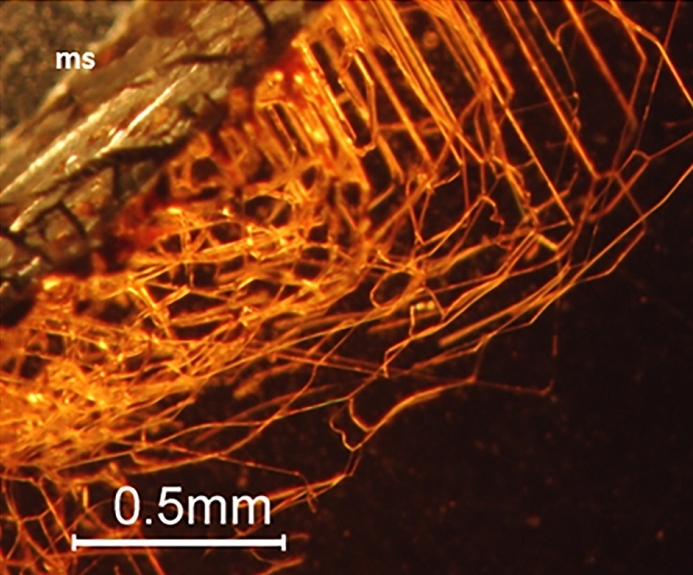 Intricate tunnels in garnets from soils and river sediments in Thailand – Possible endolithic microborings. PLOS ONE 13:e0200351. Some microbes like caves too—enough to make their own! What’s new: But now, Magnus Ivarsson and colleagues, publishing in PLOS One, have discovered that tunnels found in a fairly hard mineral, garnets, seem to be created by microbes! The press release says this is a finding about boring microorganisms, but I think they're actually quite interesting! Next important questions: how could they bore through such hard mineral? And why? Our study is on complex networks of microsized tunnels in garnets found all over Thailand. We find them in river sediments, soils, etc. We believe the tunnels were formed by microbial dissolution, most probably by fungi; they are the only type of microbe that can produce these sort of very complex mycelium-like networks. We haven't found the responsible species yet, but in the future we will go back to Thailand and we will sample for DNA and RNA and hopefully also isolate the responsible fungi. Garnets are a type of gem, and the gem is a big industry in Thailand. These tunnels decrease the value of garnets as a gem, so understanding why these tunnels form, and where we can look for gems and garnets without these deforms will be very important for this business.